Olivia Cleans Green: How Much More Awesome Do You Want to Be in July? How Much More Awesome Do You Want to Be in July? 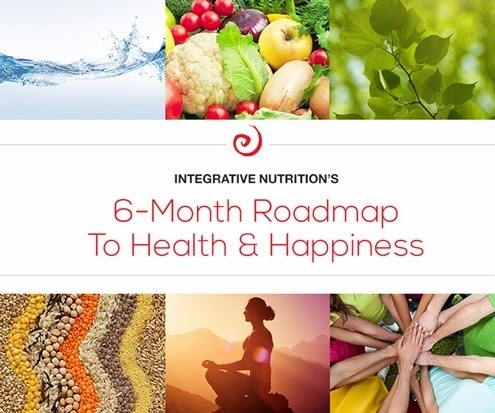 My school, Institute for Integrative Nutrition, recently released this incredible guide, 6-Month Roadmap to Health & Happiness. It's the snazziest guide I've seen from them yet! The roadmap focuses on nourishing yourself with whole foods and creating balance in all areas of your life. This unique guide provides monthly wellness recommendations to help you gradually improve your health over the course of 6 months. Sound good? Get your guide here! It's totally free. What are 3 wellness goals you plan to achieve by July? If you shoot me an email, I'll even help keep you accountable. Wanna Look Like a Cover Model? My New Website & Party on Sunday!